The six-week run wasn't enough. 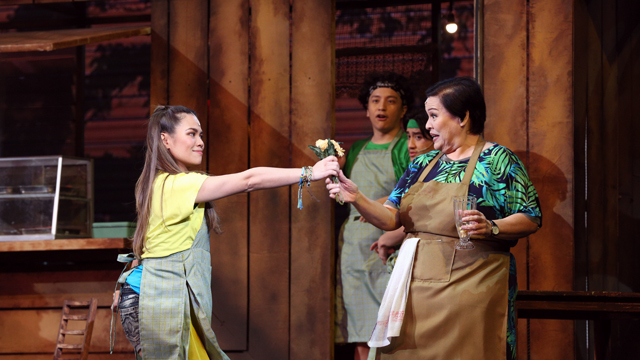 (SPOT.ph) Ang Huling El Bimbo, an all-original musical told through songs by Eraserheads, staged sold-out shows during its six-week run that started on July 20 at the Newport Performing Arts Theater in Pasay City. 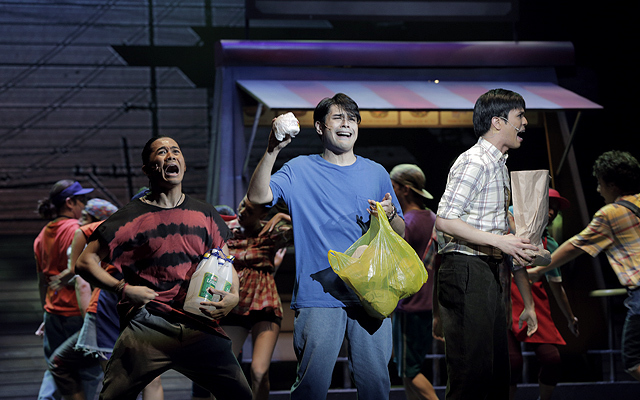 So after the final curtain call of the season on September 2, Resorts World Manila and Full House Theater announced the best news ever for Eraserheads fans—Ang Huling El Bimbo will be restaged starting March 1, 2019. 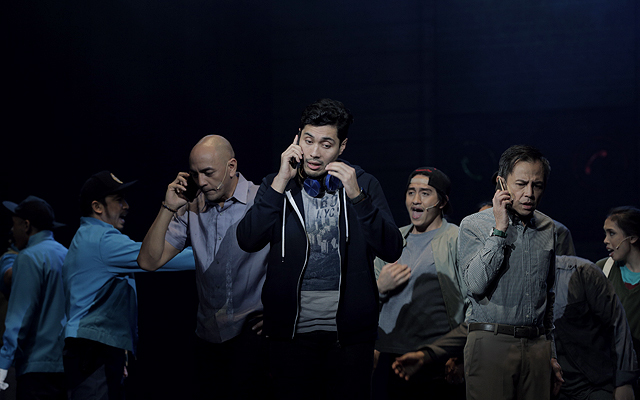 The musical, written by Dingdong Novenario and directed by Dexter Santos, follows the story of three friends: Hector (Gian Magdangal), Emman (OJ Mariano), and Anthony (Jon Santos), who find themselves in an unlikely mini-reunion 20 years after their college graduation. Their younger selves—played by Reb Atadero and Bibo Reyes (Hector), Boo Gabunada (Emman), and Topper Fabregas (Anthony)—are revealed in a slew of flashback scenes starting from how they met in a dormitory ("Minsan") to how they parted ways on the last day of school. 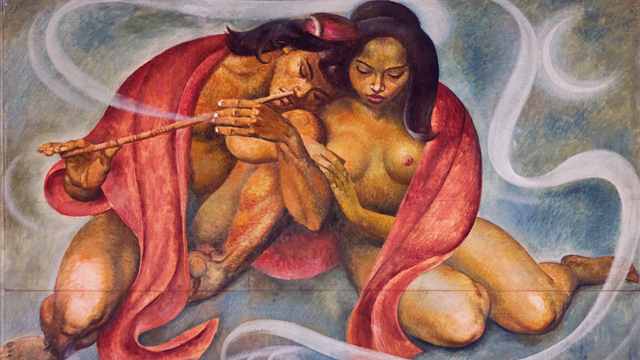 Along the way, things take a different turn in the life their friend, Joy (played by Tanya Manalang, later Menchu Lauchengco-Yulo). Though the writing could have used more cohesive sequences, and not all the songs were performed in their entirety, it looks like audiences enjoyed the production. So if you weren't able to catch the first run, there's always next year. 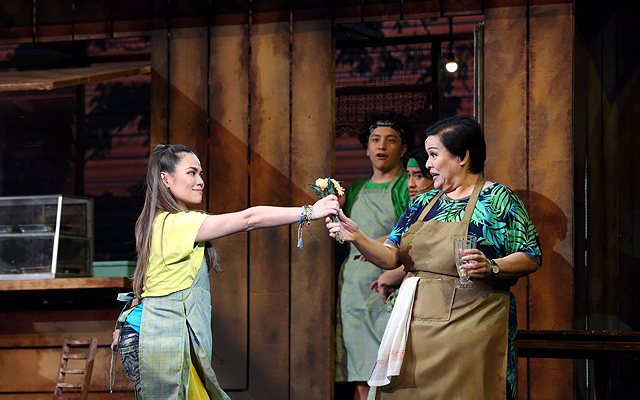 Ang Huling El Bimbo opens on March 1, 2019 at the Newport Performing Arts Theater, Resorts World Manila, Newport Boulevard, Pasay City. For updates, follow Resorts World Manila on Facebook.